rainbow bright | Hip Hip Hooray! 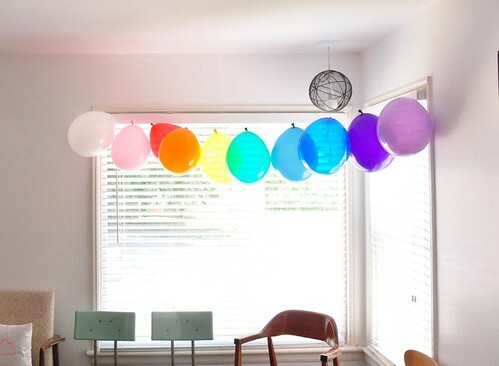 Here’s another party that reaffirms our love for rainbow details. 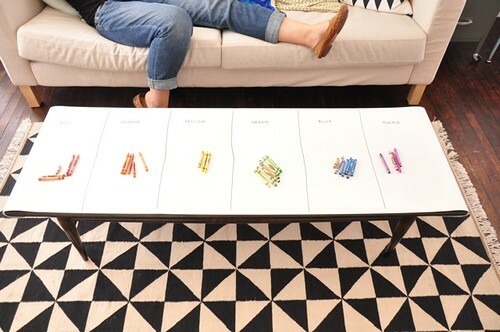 Annie took these simple decoration ideas and kicked them up a notch by injecting color. Aren’t those hanging origami cubes genius? See all the details of the party on Annie’s blog. Love this! Even the veggies are rainbowed! I love that giant greenish blue colored glass container! Where in the world could I find one to buy at? I’m not easily imrdessep. . . but that’s impressing me! 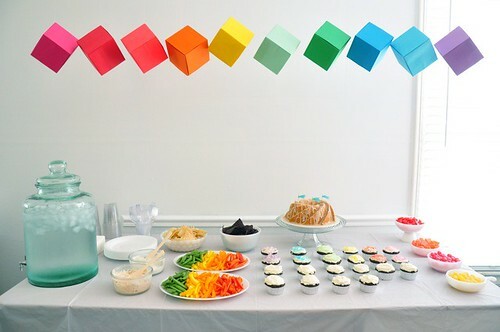 I love the rainbow cubes, they looks simple to make and adds some fun to any party.